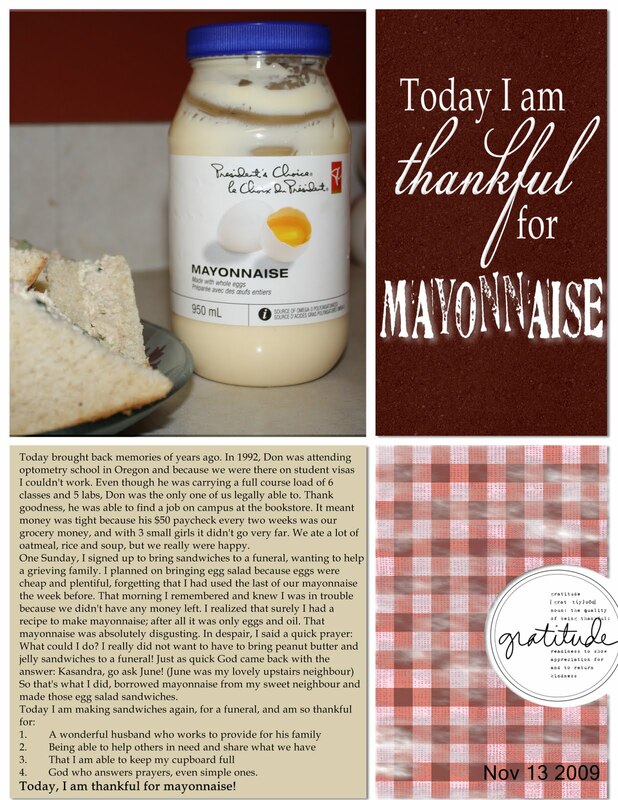 From British Columbia Canada.....: Thankful for Mayonnaise! Here is another page I have done this week, this took me awhile because I've been on the road so much this week. I posted this on facebook but want to try working with my blog more, wish I could figure out how to post here and then just send it to facebook!